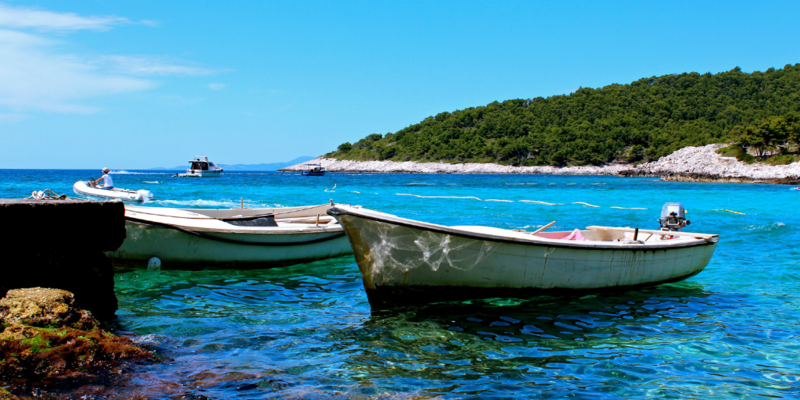 Croatia is the new “it” place you have to see. Thanks to Game of Thrones it is now on everyone’s Europe itinerary when they head off to Europe. 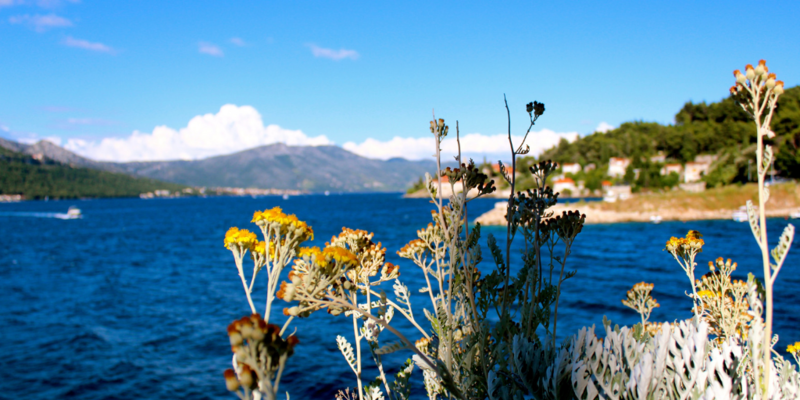 With so many people flocking to these stunning islands, people start to wonder if you can travel Croatia on a budget? Also, should you do a tour or make it on your own? 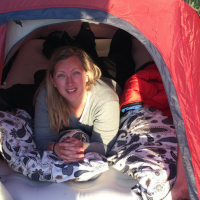 Is it even possible to island hop in Croatia on a budget with ease without doing a tour? There are some definite pros and cons of doing a tour as detailed below. 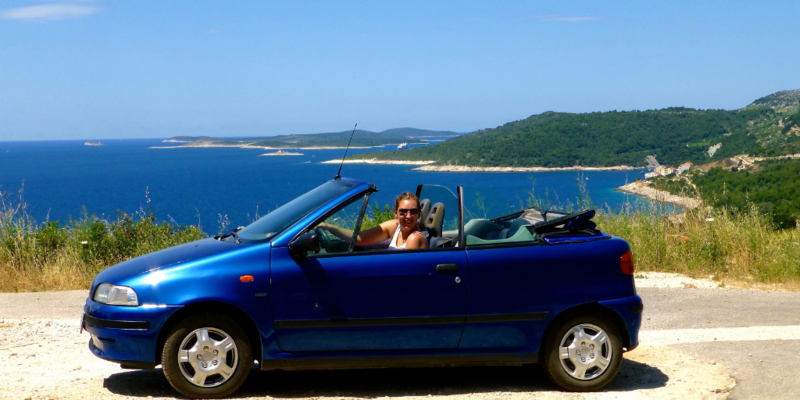 If the Sail Croatia Tour thing isn’t for you (and it wasn’t for me) then you can easily create your own Croatia island hopping itinerary on a budget. To help you out, I have put together my itinerary along with prices. If you do decide to do a tour (and there is no judgement from me, it just ain’t ma thang) then you may want to re-visit some of the places you saw. 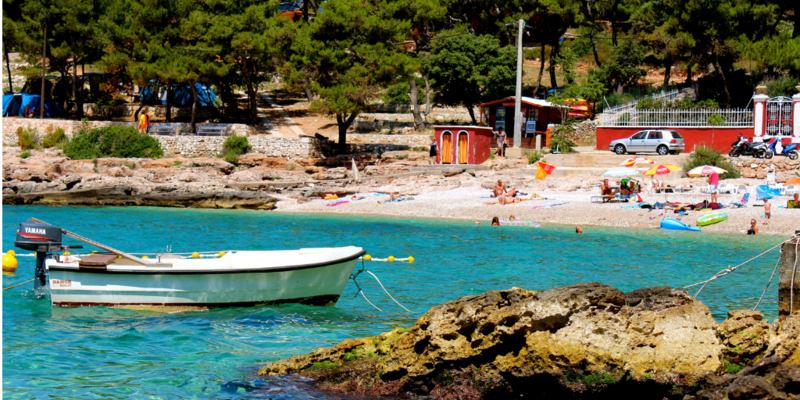 In which case you may want to do some budget Croatia island hopping all of your own. 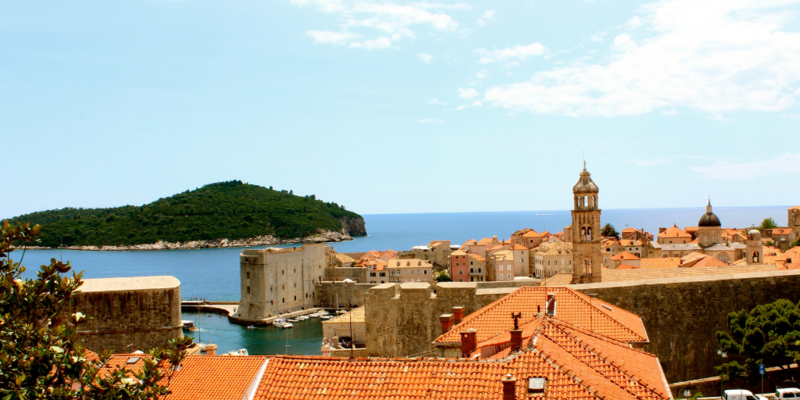 With several itinerary options – some starting in Dubrovnik and others in Split. Some are round trips and some visit the islands to the south, while some do the islands in the north. You would be hard pressed not to find the perfect itinerary for you. They offer a number of styles – for the under 35s backpacker, luxury cruises, sail and cycle. And my personal favourite would be the one for young professionals. The obvious, being stuck on a boat with 12 people who could potentially annoy the crap out of you. Having to go and see things that are on the well-trodden path (though there is a reason that those places are so popular so it’s not necessarily a bad thing). If you really like a place you can’t stay and get to know it better and if you really hate a place you still have to spend time there. So is there an alternative to doing a tour? Especially in Croatia where there are so many beautiful islands that you want to see. What if you have limited time and funds? How can you see and do as much as possible without resorting to a tour? Here is a quick itinerary based on the same amount of time as the typical Dalmatian tour companies. Accommodation: Silver Central Hostel – 17 Euros per night peak season. Close to everything, clean and with great helpful staff. Things to do: There is a free walking tour that starts by the harbour every day – the guides are funny and informative, a great way to orientate yourself and get a little of the history. Or you could go swimming and watch people play Picigin – or have a go yourself! There are also loads of great shops and restaurants – indulge yourself. Things to do: Walk around the old town, eat some amazing food and go swimming… anywhere it’s all amazing. 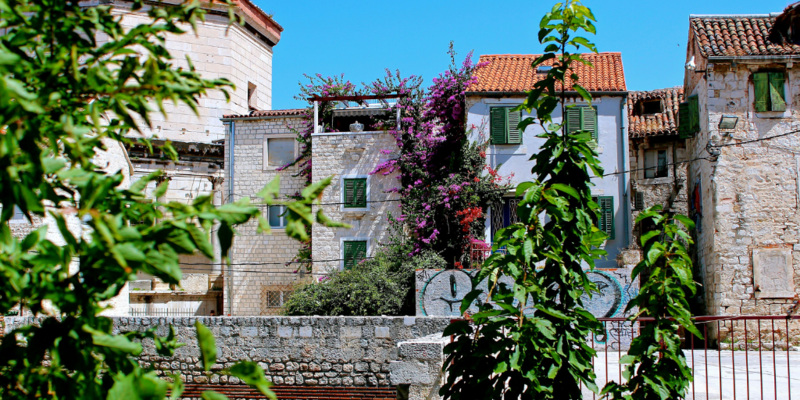 Things to do: See the other towns of the island such as Zavala and Stari Grad. Stand in a Lavender field, go wine tasting, eat plenty of fresh olives and swim in one of the hundreds of secluded coves you will drive past. Things to do: Hire a bike for 3 Euros and ride along the coast – there are some amazing sights as well as some great spots to stop and enjoy a sneaky wine and a swim. Things to do: Walk around the town, climb the old bell tower, drink great coffee, climb over the walls and go for a swim, check out the art galleries (Korchula is known for culturing many young artists). One of my favourite memories of Korcula was trying a delicious tuna pate. 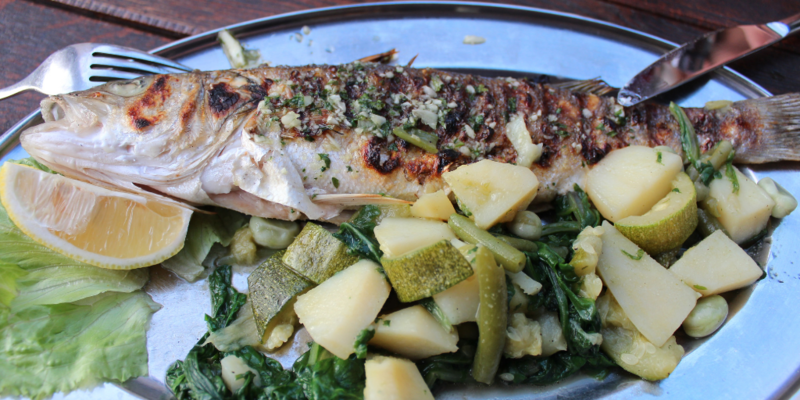 This was served as an extra before one of my meals (a big bowl of mussels) and I loved it. So much that I asked the chef for the tuna pate recipe. Accommodation: Hostel Villa Angelina Old Town – a bit more expensive at 24 Euros but once again great staff and clean light dorms. Things to do: Walk explore the lane ways, try pancakes at La Dolce Vita, eat dinner at Lady Pi Pi’s, go on a free pub crawl. Things to do: Get up early and climb the walls to beat the crowds and see the sun come over the terracotta roofs. Visit the Cliff bar for a cocktail and some cliff jumping – though maybe jump off the cliffs before the cocktail! When you add everything up it only equals 225 Euros! 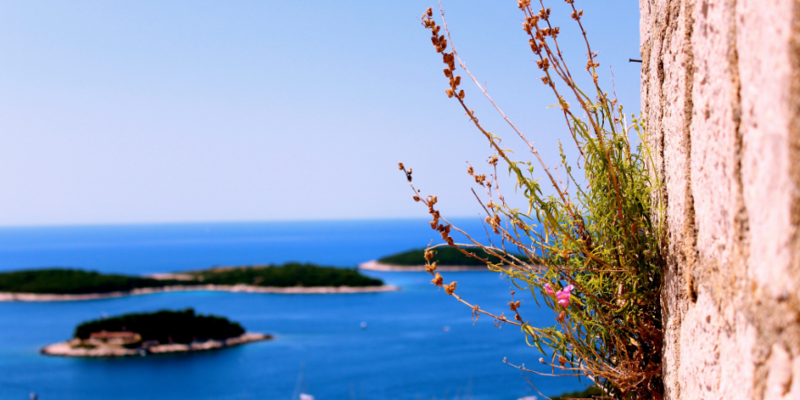 Much less than 469 Euros for Sail Croatia. 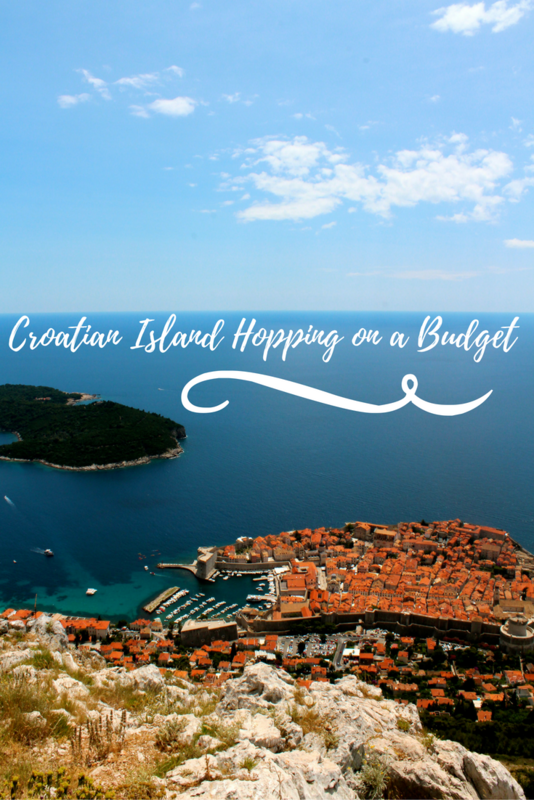 Croatia island hoping on a budget – easy!